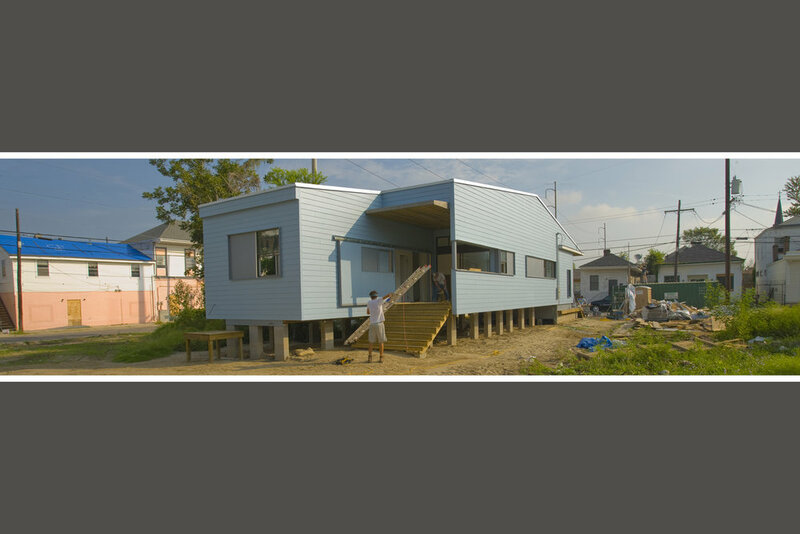 URBANbuild 1 was initiated in partnership with Neighborhood Housing Services (NHS) in response to receiving a HUD grant after Hurricane Katrina, when many New Orleanians were just returning to the city after the storm. This grant presented an opportunity to prove that the program could work—that a group of students could build a house on time and on budget in the space of 14 weeks. Achieving this goal required inventing a system in which students engage with licensed professionals when necessary to complete each project within the time frame of a single academic semester. 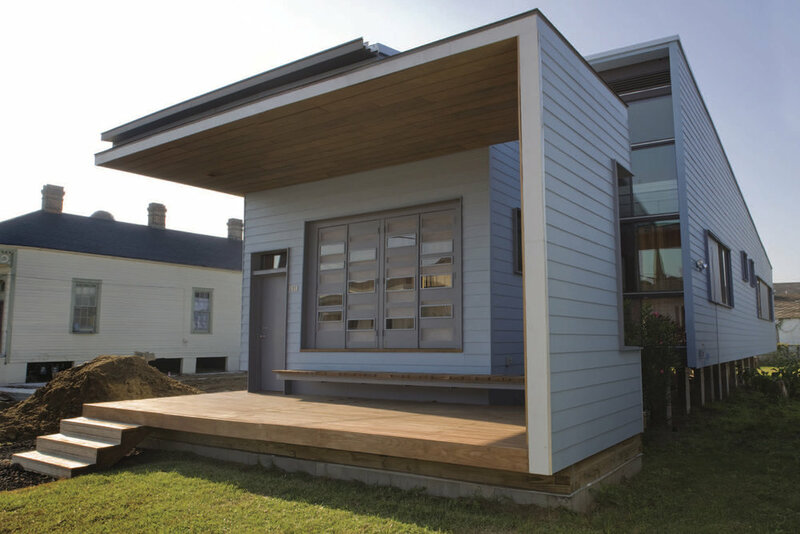 The first house was built during the sweltering summer of 2006 with reliance on many standard building systems. Every subcontractor (except one, who has retired) who worked on the first house has worked with URBANbuild ever since. URBANbuild 1 employed a single-level, three-bedroom, two-bath strategy. This would become the program that NHS would repeatedly ask students to satisfy each year. The home responded to the surrounding context and culture, including the neighborhood tradition of socializing on porches and stoops, through the development of an extended front porch. 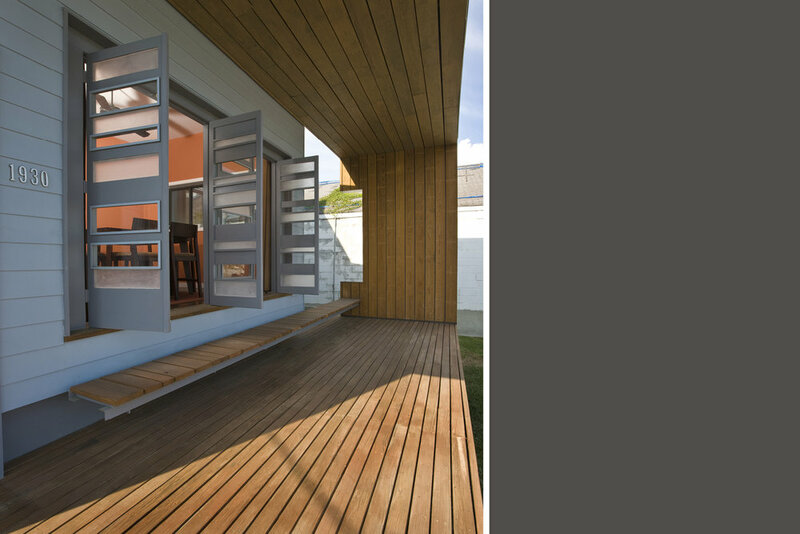 A generous rear side porch that the adjacent children’s bedrooms can open out to is another special feature of the home. This first house was built in Treme, a historically significant neighborhood hit badly by the storm, and was sold to a New Orleans police officer who grew up just a few blocks away.